Our No Junk Mail Sticker Is Proven To Stop Over 90% Of Posted Junk Mail Through Your Door, Several Months Of Testing Went Into Designing Our Sign To Maximise It's Effectiveness. Some Other More Expensive Stickers And Signs On The Market Are Designed To Blend In With The Decor Of Your Front Door Or Letterbox, These May Look Attractive To Visitors, But Unless A Canvasser Or Leaflet Dropper Can Clearly See You Sign From A Distance, They May Continue To Post Unwanted Material Through Your Door, Especially If They Have Made The Effort To Walk Down Your Path Or Driveway. It's Clear Bold Text Clearly States " No-Junk-Mail " In Black Bold Face Text. With Additional Bold Red Text Stating The Types Of Junk Mail You Do No Wish To Receive. Our Sign Also Displays The Recycling Symbol To Encourage Others To Do So. Our Aims At www.no-junk-mail.co.uk Are To Raise The Awareness Of Junk Mail In The UK, Whilst Promoting Our Signs And Stickers To Reduce Junk Mail And Cold Callers. We Wish To Achieve A Nationally Recognised Sign To All Leaflet Droppers, Canvassers And Cold Calling Sales People. We Understand That This May Take Years To Achieve And Many Companies And Businesses To Educate, Our First Steps Are To Display Our Signs On As Many Homes Across The UK Raising The Awareness Of www.no-junk-mail.co.uk In The UK. 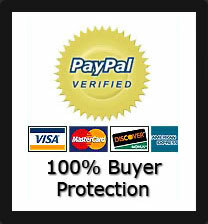 Buy Your No Junk Mail Signs With Confidence Through PayPal. All Items Posted 1st Class - You Will Usually Receive Your Products Within 48 Hour Of Payment. We Don't Send Invoices Or Leaflets With Your Product.